LONDON - A round of figures showing China's economy is in relatively good health helped buoy markets Monday, at the start of a week that could offer greater clarity on the economic fates of Greece and Spain. Figures showing China's inflation rate fell to 1.9 percent in September from 2 percent the month before reinforced investor hopes for more stimulus in the world's second-largest economy. Because economic stimulus can stoke inflation, worries about price increases have limited hopes that the country's monetary authorities will do more to shore up growth. Figures showing a 9.9 percent increase in the country's exports in September also helped ease concerns that the economy was heading for a hard landing. 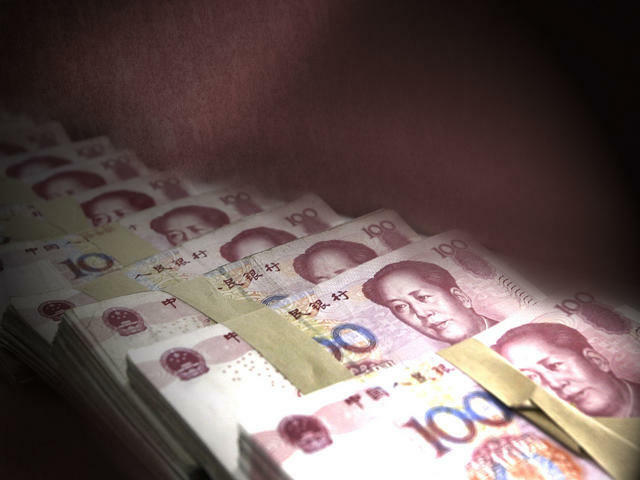 "Data from China released over the weekend portrays the economy in a somewhat better light," said Rebecca O'Keeffe, head of investment at Interactive Investor. After a lackluster trading session in Asia, the news on China encouraged investors in Europe. Germany's DAX was up 0.8 percent at 7,293 while the CAC-40 in France rose 1.3 percent at 9,434. The FTSE 100 index of leading British shares was 0.5 percent higher at 5,823. Wall Street was poised for a solid opening, with both Dow futures and the broader S&P 500 futures up 0.4 percent. How the U.S. actually opens could hinge on the next round of earnings reports, particularly from Citigroup. The U.S. corporate earnings reporting season really gathers pace this week, with around 40 percent of the Dow's constituent companies due to unveil their latest results. Beyond U.S. earnings, investors will this week monitor developments in Europe's debt crisis. EU leaders are due to meet on Thursday and Friday, with Greece and Spain likely to share the spotlight. Investors want clarity over whether the Greek government's latest package of spending cuts has convinced debt inspectors to approve the payout of the country's next batch of bailout cash. They also want an end to the uncertainty over whether Spain will tap a new bond-buying facility from the European Central Bank. James Hughes, chief market analyst at Alpari, said the summit in Brussels "could be a turning point for the eurozone." In the currency markets, the euro continued to find support despite the debt-related headwinds, trading flat at $1.2958. Softbank Corp. confirmed after the Asian market close that it has reached a deal to buy 70 percent of U.S. wireless carrier Sprint Nextel Corp. for $20.1 billion. The deal has prompted some excitement as it will be the largest ever foreign acquisition by a Japanese company. Japan's Nikkei 225 index rose 0.5 percent to close at 8,577.93, snapping a four-day losing streak. Hong Kong's Hang Seng rose less than 0.1 percent to 21,148.25. South Korea's Kospi fell 0.4 percent to 1,925.59. However, mainland China's Shanghai Composite Index lost 0.3 percent to 2,098.70 and the smaller Shenzhen Composite Index lost 0.7 percent at 859.47. Oil trading was fairly lackluster with the benchmark oil contract for November delivery down 29 cents to $91.57 per barrel in electronic trading on the New York Mercantile Exchange.